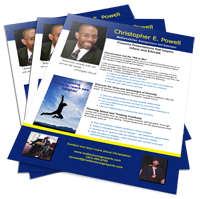 In this episode of the Overcome Your Limits Radio Show, host Christopher E. Powell speaks with Performance Improvement Technologist Dr. Cubie Davis King about Emotional Intelligence (EQ). Dr. Cubie Davis King joins the Overcome Your Limits Radio Show to discuss how Emotional Intelligence (EQ) can play an even greater role than IQ in your personal and professional success. Dr. King is author of The S7ven People Principles: Success When Dealing with Other People and 15 other leadership/personal development titles. He is a widely regarded Training & Human Performance Improvement Technologist. He has led high performance teams in the US Military (9yrs), US Government (4yrs), Xerox Corp (2yrs), and CitiGroup (10yrs). In his book, The S7ven People Principles, Dr. King reveals time tested strategies for building high performing leaders and teams. 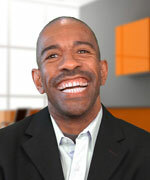 Dr. King is host of the internet radio Podcast, Success & Life and is a highly sought after keynote speaker. For more information visit: DrCubie.com and CubieKing.com.